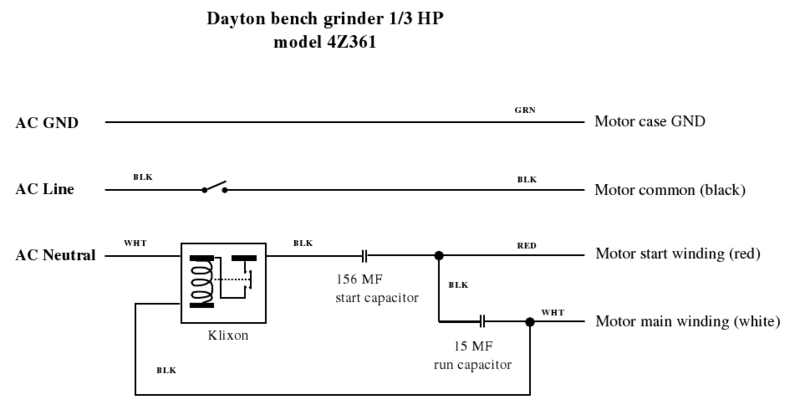 I took apart a Dayton 6" bench grinder to replace a broken power switch and to clean it up. 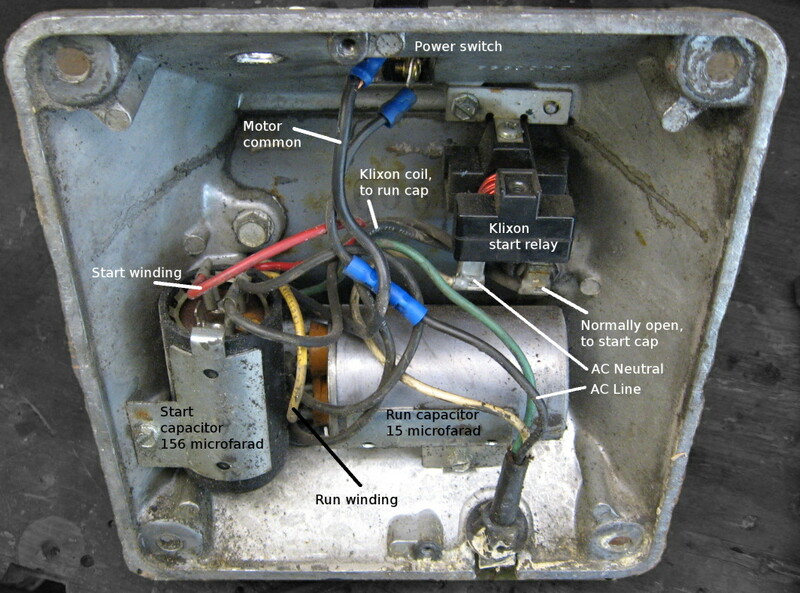 The motor is 1/3 HP, with start and run capacitors located in the grinder base, as well as a Klixon relay which takes the place of a centrifugal switch for the start capacitor. Before disconnecting everything, I took some photos, and drew a schematic. The Klixon relay is normally open with its coil connected in series with the main winding of the motor and its starting circuit in series with the start winding. When voltage is applied to the motor, the high current through the main winding and relay coil creates a magnetic field which lifts or "picks up" the relay armature and closes the start contacts. Increasing motor speed and related decreasing current through the mainwinding and relay coil reduce the magnetic force and the armature "drops out" to open the start contacts and disconnect the start winding.